Do you love wine? How about using less water in agriculture? If you answered yes to both or even just one of those questions, then this article is for you! And if you think those questions don’t go together at all, our job today is to convince you otherwise! As a wine lover, you should be excited to learn all about how the grapes to make your beloved “juice” are grown to perfection. If you like the idea of saving water, then you’ll be interested to know that recent research continues to show how growers can use less water to grow different kinds of grape varieties. When it comes to vineyard irrigation, there is an existing practice of irrigating called regulated deficit irrigation, particularly in red wine grape varieties. This method involves withholding water during certain times of grape growth in order to produce desired qualities in the fruit and to control vegetation. 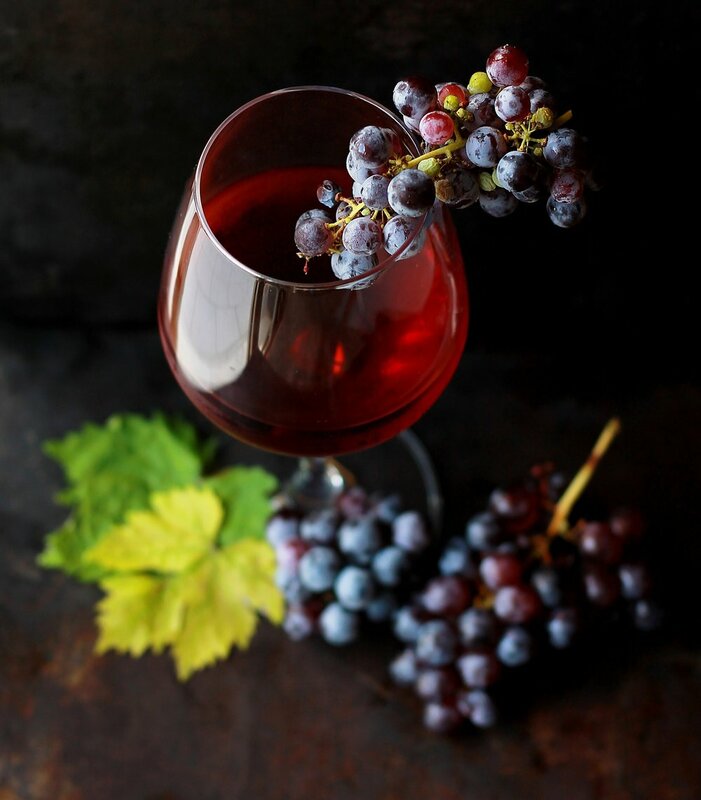 While this helps produce excellent, high quality grapes for red wine, it is rarely used for white grape varieties because it can cause undesired tastes and other complications. Adapted from Pierre Helwi’s “Vineyard Water Management” presentation. Fun Fact #1: You can use drip irrigation, furrow irrigation, microsprinklers and overhead sprinklers to practice regulated deficit irrigation. Diagram of partial root-zone drying. Don’t fret my loyal white wine drinkers! New studies on an irrigation method called partial root-zone drying shows you can irrigate less while still producing quality fruit! Partial root-zone drying involves having two drip irrigation lines, with one of the lines running on each side of the vine. You irrigate by using only one of the lines for a certain period of time, then switch to the other line. Where as regulated deficit irrigation causes a water deficit over time, partial root zone drying differs by causing a water deficit over space. When growing grapes, a lot of factors determine the overall quality of the fruit: canopy growth, berry size, and berry taste, just to name a few. The amount of water applied and how/when it’s applied during the growing season affects each and every one of these factors. How much water gets used by the vine in each growth stage. You might be thinking: bigger grapes are better, right? Nope! The amount of irrigation applied between the bloom stage and the veraison stage determines the berry size, as this is when the cells are dividing, expanding, and pulling nutrients and water from the soil. They give a better ratio of skin/pulp for wine making (this is especially true in red wine grape varieties). you don’t have to spend unnecessary time pruning. P.S. the University of Maryland has an amazing presentation about Canopy Management. You can thank us later. Fun fact #2: canopy size directly affects the way grapes taste. Red wine grapes benefit from smaller canopies, since sunlight actually helps them achieve the desired color and taste. However, white grapes grown with a smaller canopy and too much sunlight can cause them to have a bitter taste. Where as too much sunlight can cause white grapes to have a bitter taste, severe water stress can cause this in red varieties. This is because grape vines use photosynthesis to produce sugars in the fruit, but during times of severe water stress there is a closing of the stomata (the part of the leaf involved in photosynthesis). If the stomata is closed for too long, the red wine grapes can have a bitter taste. If you’re using soil moisture sensors (or thinking about it), here are the soil moisture tension values (shown in kilopascals, kPa) to target when practicing regulated deficit irrigation (see “RDI” row below). Measurements in kPa for soil moisture during RDI. When do grapevines need irrigation?